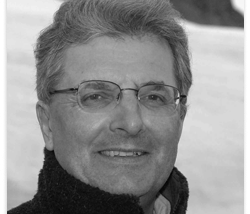 This article by LCCP Chair Chris Rapley has been reproduced from the Huffington Post. I’m here to talk about the Future. As a climate scientist it is part of my job to explore what it might bring. Thus opens the play 2071, which I wrote last year with the playwright Duncan Macmillan, and performed at the Royal Court theatre in London, the Deutsches Schauspielhaus in Hamburg, and, more recently, at the BOZAR theatre in Brussels. I had never written a play before. I had never delivered a one-man show from prestigious stages. But when the director, Katie Mitchell, suggested the project I embraced the challenge. Because now, more than ever, we need to talk about the climate. In December this year 195 nations will meet in Paris to agree on a course of action to respond to climate change. Their discussions will be informed by a detailed summary of the latest climate science. This has been published in three lengthy technical volumes, and a separate overall synthesis. The summary of the physical science alone is 1535 pages long and weighs over four kilos. It has more than 600 contributing authors and draws on tens of thousands of publications. It is arguably the most audited document in history. The decisions taken in Paris will affect us all. We need to be part of the conversation. But climate change is an emotive issue and we are all susceptible to bias and illogicality when confronting it. The climate system is very complicated – the most complex system we know of – and it takes effort and expertise to sift the scientific evidence and evaluate the risks. There are gaps in our knowledge, and many uncertainties, some of which are fundamentally unknowable. In addition there are economic considerations, political implications, ethical questions and ideological issues that are not easily resolved. This makes it difficult to predict exactly what the future holds and to determine precisely what we should do. In 2071, and the related book, we seek to explain the scientific evidence, its implications, and the options that lie before us. A pivotal issue is the planetary energy imbalance caused by our impact on the atmosphere’s chemistry through burning fossil-fuels. This imbalance is causing changes in the circulation of the atmosphere and oceans, the melting and sliding of polar ice, and the rising of the oceans. Paraphrasing Churchill; “We are entering a period of consequences“. The modern world, its infrastructure, economy, food and water supplies, and hence its social stability, are tuned to the climate system we inherited, not the one we are provoking. Prudent risk management dictates that we should heed the warnings of climate science and take steps to allow the planet to regain its energy equilibrium. Unfortunately, every additional carbon dioxide molecule we emit to the atmosphere increases the imbalance. The nations which will meet in Paris have agreed that it would be dangerous to exceed a two degree centigrade warming relative to pre-industrial times. To meet this ‘guardrail’ there is a finite quantity of carbon left that we can burn. The Intergovernmental Panel on Climate Change, the scientific body established to advise the international process in Paris, estimates that this amounts to 270 thousand million tons of carbon. To stay within this bound, our carbon dioxide emissions will have to drop by 50% by 2050, and thereafter to nothing. This will leave 75% of known fossil fuel reserves in the ground. To achieve this will take the complete and rapid transformation of the world’s energy system. It will require the greatest collective action in history! It’s a daunting challenge. But my experience as Director of the Science Museum, with its awe-inspiring legacy of engineering innovation and advance, has left me a ‘technological optimist’. I am convinced that human ingenuity is unbounded, and that the transition from a fossil fuel-based global energy system to a world powered by clean and green technologies is both possible and affordable. As with previous technological revolutions, there is profit to be made, and the markets will drive developments. Progress is already under way. The pace is insufficient, but it is gaining momentum and the direction of travel is clear. This is in spite of the opposition of some western politicians. China in this respect has emerged as a world leader. It has set a date of 2030 to ‘peak’ its carbon emissions, and has pledged to ensure the share of non-fossil fuels in its energy mix will be around 20% by 2030. To achieve this will require the installation over the coming 15y of 1000Gw of carbon-free power, equivalent to the current entire generating capacity of the USA. And this week President Obama has announced his revised ‘Clean Power Plan’, which commits to cut greenhouse gas emissions from the US power sector by nearly a third relative to 2005 levels in 15 years. Technological interventions to reduce the carbon intensity of energy generation will not alone be sufficient. Increased energy efficiency and changes in usage will also be necessary. This requires changes in human behaviour. Pope Francis addresses the issue in his encyclical “Laudato Si“. He stresses “the urgent need for a radical change in the conduct of humanity” inasmuch as “the most extraordinary scientific advances, the most amazing technical abilities, (and) the most astonishing economic growth, unless accompanied by authentic social and moral progress, will definitively turn against man“. I found it liberating to speak about this issue from the stage of a theatre rather than a lecture podium. It allowed me to step beyond the normal bounds of my role as a climate scientist, to tell my own story and to explain my personal thoughts and conclusions. Scientists aren’t policy makers. Science cannot say what is right and what is wrong. Science can inform, but it cannot arbitrate, it cannot decide. Science can say that if we burn another half-trillion tons of carbon – doubling the total burned since industrialisation – that will almost certainly lead to a warming of the planet greater than two degrees, with major disruption of the climate system, and huge risks for the natural world and human wellbeing. But it can’t answer moral questions – value questions. Do we care about the world’s poor? Do we care about future generations? Do we see the environment as part of the economy, or the economy as part of the environment? The whole point about climate change is that, despite having been revealed by science, it is not really an issue about science, it is an issue about what sort of world we want to live in. What kind of future do we want to create?